I used to play this tune around election time on my radio show in Memphis. So, I thought I'd blog it prior to the November 2 showdown. From the bi-centennial year of 1976, "Anticipation" has a great feel, a memorable bass line, and a message that still makes sense, however more impossible it may be to achieve today than in 1976 (or any time in human history, I guess). The artist, Willie Tee (Wilson Turbinton), singer, songwriter, keyboardist, first made a name for himself in the mid-1960's with the Atlantic release of "Teasin' You", a song written by Earl King and produced by Wardell Quezergue. A few years prior to that, he had started recording with Harold Battiste at AFO Records in New Orleans. After a few more singles on Atlantic, he got into some production work (Margie Joseph) in the late 1960's, was signed to Capitol for a couple (?) of singles and a jazz album, then around 1970 started a funk outfit called the Gaturs. The band didn't get too far, but put out a number of memorable sides that have since had the CD comp treatment and are sought after by collectors. Following that, Tee got involved in an innovative musical collaboration with the Wild Magnolias, a Mardi Gras Indian group, that resulted in at least one single and two albums in the early to mid-1970's. These albums, too, have been re-released on CD, after being prized collectors' items for years. most of the Gaturs, as well as other of New Orleans' funky greats, played on these releases. So, that brings us to the album, Anticipation. The basic backing tracks were done by the Gaturs, with Tee's brother, Earl Turbinton, a well-respected jazzman, on soprano sax, and some outside, A-list session players such as Victor Feldman, Chuck Findley, Lee Ritenour, and David T. Walker added to the mix. This isn't a desert island record of mine, being more pop/soul than funk; but it's a really good one that did not deserve its almost instant obscurity. Actually, the song, "Anticipation" is a kind of suite with a companion piece, "Liberty Bell". They are the standouts of the record, for which Willie Tee should still be proud. The question keeps coming up (well, twice) in the comments about being able to download the audio stream from this blog. I don't think you can do it. At least, I don't know how to do it. If you want to download mp3 files, there are numerous sources to do that. I'd be surprised if any of them had all the stuff I'm blogging; but it's possible. But, my "service" here is not to do that - well, not yet, anyway. I am trying to do this on the cheap with limited technical expertise. So, just consider this site a place that can give you a glimpse of the obscure delights available for the avid New Orleans music collector/fan. It's a heads up about what's out there....somewhere. To me, downloading is almost too easy (besides being considered illegal by the Powers That Be). But that's just me. I'm a geezer. It's just worth more to me if I have to do some work to get it. Every tune I blog has a back story about the where, when and how I found it. That doesn't make it a better tune. It just has more of that good mojo on it for me. I'll have another rarity up tomorrow. It's a Willie Tee album track. Also, I'll be cutting off the links to the James Booker items this weekend; and the Etta and Labelle links will be going soon. So, if you haven't heard 'em, now's the time. I've been listening to the new Neville Brothers CD, "walkin' in the shadow of life". It's definitely the best they've done in the studio since "Yellow Moon". If you thought they'd lost their edge (and you were oh so right), check this new one out. The second generation of Nevilles has been fully integrated into the mix, with Ivan Neville (son of Aaron) co-producing, co-writing, and generally all over it, and other sons playing, singing and/or rapping in spots. Ivan's reclaimed the band from over-produced, unfocused oblivion; and the tracks ooze some stanky funk and righteous beats, great playing, soulful singing, and a real sense of what this band has been about live over the years. It's retro and right now. My only gripe is that their great drummer, Mean Willie Green, ain't on it (although he is still in the band, according to their message board). Ivan and Cyril play drums and others do "programming". It works, so I'll let it slide. There's a cover story with interviews in the new Offbeat. Irma recorded this single at Malaco in Jackson, MS in late 1971. It was produced and arranged by >Wardell Quezergue around the same time that he also produced and/or arranged the hits "Groove Me" for King Floyd and "Mr. Big Stuff" for Jean Knight (both New Orleans artists of note) at that same studio. A respected Crescent City musical master, though lesser known than Allen Toussaint or Eddie Bo, Mr. Quezergue worked his magic on a ton of tunes for a host of artists over four decades, and deserves exalted props. He has just recently retired due to declining health. One of the co-writers on this song, Larry Hamilton, is a HOTG songwriter and singer I'll be getting to at some point. I find "She's Taking My Part" to be one of the funkier numbers soulful Irma has done; and it's really a shame she didn't record more with Quezergue. But, that's how it worked out. Commercially speaking, Irma's recording career has been a little hit and mostly miss from her earliest days. While some criticize her for a perceived lack of fire in her recordings, I don't agree, having been moved by much of what she has done over the years. She just never really had a lucky break in the business, although she worked with such legends as Eddie Bo, Allen Toussaint, and Jerry Ragavoy. She was rediscovered in the 1980s when she began recording with Rounder Records, and has made some great albums for them. Still performing to this day, Irma regularly delves into her back catalog on stage and will often pull out an obscurity or two in her sets; but I've never heard her do this one in all the times I've caught her live. She's still much loved in her hometown as the Soul Queen of New Orleans and deserves your attention, if not utter devotion. Enjoy. Hey, thanks to Oliver over at soul sides (my inspiration for this thang) for the plug. I'll try to live up to the hype! Here's an LP, the first for the Dirty Dozen Brass Band, that was re-issused on CD around 1990. They are both out of print now; and more's the pity. I bought this very well-recorded LP a few years after it came out. Never heard the CD or even saw a copy. So, I'd guess it wasn't around for long. Many people regard the DDBB's Rounder album/CD 'Live: Mardi Gras in Montreux' from 1986 as their first - and it is one of their best, containing versions of several of the 'Feets' tunes. But this Concord LP came before and is a great-sounding, insistently grooving example of the band fairly early in their career (they formed, more or less, around 1977). I chose "Do It Fluid" as a highlight, because it shows what these young guys could do with their intense, accomplished musicianship and super-charged delivery. The Dirty Dozen pretty much revitalized the moribund brass band tradition in New Orleans, rewrote the rules, and led the way for all the other young bands to come with their adventurous repertoire, compositional skills and head-long drive. Note the consummate sousaphone/tuba work of Kirk Joseph (who is no longer with the group) on this track for a workshop in propulsive bass pumpin'. trap drums. While I prefer the sound of the early years, I've heard them numerous times on record and live in their expanded configuration and find them still to be a band with undeniable groove power. Many other brass and funk bands they have inspired are giving them some healthy competition these days. Seek this stuff out. When African-Americans were introduced to brass marching band instruments in 19th centrury New Orleans, they did something remarkable with them over time, engendering no less than a new musical form, jazz. That's an extreme over-simplification of the process, for sure; but there's no way to neatly sum up the confluence of influences that is New Orleans music. My bias and preference is for the visceral, syncopated, funk-infused second line grooves which arose and continue to perpetuate in the streets of that humid, atmospheric, sub-sea level city through the marching, parading, and general struttin' of brass bands, Mardi Gras Indian gangs, and associated revelers. The repercussions linger there to this day. Both jazz and funk were born in those streets, went separate ways at times and came back to intertwine again and again. To my mind, the music of the Home of the Groove is at its finest when those streams merge. Look no farther than the Dirty Dozen Brass Band and the modern Crescent City brass band movement for the free-flowing evidence. Bought some stuff at the Music Factory. One of which may be blogworthy. Turntable's in the shop, though. So, we'll turn to what's already burned. I'll rummage around and see what I can dig up this weekend. Check back, won't you? As with our previous offering, Allen Toussaint produced and arranged this decidedly funky outing for Etta James. "Wheel of Fire" is also one of his three compositions appearing on the disk. Its sultry slow burning strut, and the fact that no one else seems to have covered this Toussaint gem, are the reasons I've picked it out. Changes, too, has not been reissued, but deserves to be. Etta does soulful justice to not only the tunes by Toussaint but to those penned by Willie Hutch, Carole King (the title track) and obscure NOLA songwriter, Jimmy Jules (aka Charlie Julien). 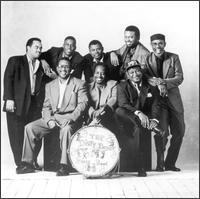 And, as with other recordings done at Sea-Saint during Toussaint's peak production years, the session players are among the HOTG's funky finest: Herman Ernest, III (drums); Tony Broussard (bass); Leo Nocentelli (guitar); Sam Henry, Robert Dabon and Toussaint (keyboards); and Ken "Afro" Williams on percussion. In doing some research for this post, I've discovered that mp3.com has this entire album available for listening/downloading. I don't know what their source is (master tapes? ); but mine is vinyl, as you can tell in a couple of places on my burn. With this little taste, I encourage you to check out the whole thing, if it tempts you. It's a treat. Allen Toussaint's contributions to New Orleans music over his 40+ year career as a musician, songwriter, arranger, producer, performer, and studio-owner cannot be praised enough. By the early 1970's, he was signed as an artist to Warner Brothers/Reprise, producing the Meters (his studio band) for the label, having numerous hip artist of the day cover his material, and beginning a decade of well-respected work as a sought-after producer for rock, pop and soul artists, many of whom recorded at Sea-Saint Studios in New Orleans, which was owned by Allen and his business partner, Marshall Sehorn. Learn more about this man and his work, if you are unfamiliar. Books could and should be written on his amazing career. 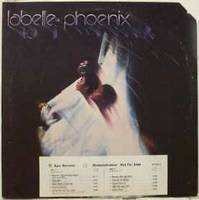 We start off today's offerings with Labelle's "Action Time" from their 1975 vintage album, Phoenix, which, surprisingly to me, has not been reissued on CD. The record was produced by Mr. Toussaint at Sea-Saint (which, by the way, he sold several years ago). The sessions are full of the city's finest musical notables: James Booker (organ), Herman Ernest, III (drums), George Porter, Jr (bass), Leo Nocentelli (guitar), Teddy Royal (guitar), Toussaint (keyboards), as well as a host of others. This was Toussaint's second production go-round for the group, having arranged and directed their fourth and most successful LP from 1974, Nightbirds, containing the #1 hit, "Lady Marmalade". While he didn't write the tune, his killer arrangement and use of the best and funkiest local musicians made it an indelible hallmark of the era and puts to shame the Moulin Rogue cover from a few years ago. That song pushed Labelle's popularity to the top. Everything about Labelle (Patti Labelle, Sarah Dash, and Nona Hendrix) by then was over the top, from their "aliens landed in our hair-do's and dressed us for Mardi Gras" appearance, leaving plenty of exposed skin, to their rhythmic, athletic stage shows and swooping, whooping, nearly supersonic vocal delivery. If I remember correctly, Patti Labelle implied in an interview back in the day that no performance was complete for them until they literally reached a climax. The way Patti and the girls could hit those highs while doing the syncopated wild thing dance, I doubt that they faked their orgasms. So, where else would a brash, soulful, funky vocal group want to try to capture some of that fire but in the Home of the Groove. "Lady Marmalade" put them on the big hit map; and they came back to Toussaint to see if they could do it again, which, sad to say, they could not. But they made a good record that got up to #10 on the R&B album charts. 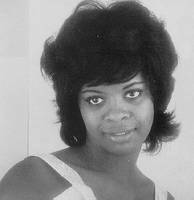 "Action Time" was written by group member Nona Hendrix along with Edward Batts and James Ellison, who played guitar and keyboards respectively for Labelle. The arrangement is a great example of what Toussaint could do, making a song with rather inconsequential lyrics percolate and groove insistently. I'll hazard a guess that Booker is on organ here, Toussaint on piano, Nocentelli on wah-wah guitar; and probably Carmine Rojas is on bass (it just doesn't sound like GP, Jr.). It's no "Lady Marmalade", but it still grooves quite nicely, thank you. Just reporting in on some gigs I caught recently in my new hometown. I'm not reviewing them because I didn't go in a "critical listening" frame of mind and had no intent other than to catch some funk. The BMS probably had 60-70 people in it and holds maybe 100 tops, if "holds" is the right word for a place that is really a covered patio/deck area attached to the Blue Moon Hostel just outside of downtown Lafayette, LA. It's almost like hearing the band play in your backyard there. Mr. Nocentelli got down to it with Chris Severin on bass (one of NOLA's premier players) and a drummer from New Yawk named Adrian (?). Leo seemed to dig it, too. He did two sets and three encores for us movin' groovin' deck hands. Sure, Leo can go a little Yngwie on the soloing at times; but he wasn't overbearing at all. He seemed outright relaxed, sitting on a stool most of the night, playing a Gibson 335. The grooves were generous. Chris got in some good solo shots, too. The night air was cool. And the Guinness was smooth. They did mostly Meters tunes, plus other Leo originals like, "The Hype and the Hoopla". If you're new to blogging, the most recent posts are on top. To read/hear in sequence, scroll down and start at the bottom. And again, the first two James Booker audio posts will be up for maybe a couple of weeks, as the blog gets going. Newer audio will only stay up for 7 - 10 days. So, get it while it's hot. This first offering is taken from a rare LP released in 1963 by the Lloyd Price Band called This Is My Band on the Double L label, which was operated by Lloyd and his partner, Harold Logan. The organist for this session was none other than the late, eccentric New Orleans keyboard genius, James Booker. The LP is an all instrumental outing for the band; and, incredibly, Booker is featured on four tracks as a soloist doing his own compositions, never recorded anywhere else, as far as I know: "Number Four"; "Ooh-Pee-Day"; "Soulful Waltz"; and "Pan Setta". I've selected "Pan Setta" and "Ooh-Pee-Day" as the best of these. I think the tracks stand up well with Booker's other instrumental organ recordings, mostly done for Peacock or Duke between 1960-1962. The most famous of these is his one 'hit', "Gonzo". The Lloyd Price Band recordings present big band arrangements of the tunes, which work well, for the most part. Those familiar with Booker's piano work will note that his organ playing is much more subdued and straightforward than his radiation on the 88's. If you haven't heard him on the piano, you are missing a mixture of dazzling expertise, humor, soul, and abandon that, at its best, is mind-blowing. I have some never issued board recordings of Booker on piano in NOLA that I'll dig out later on. Until then, it's James Booker on the organ. "Pan Setta" has a swing groove; and "Ooh-Pee-Day" has a taste of Latin (the title sounds like pig-latin, actually). Neither of these tracks will be heralded as being proto-funk, nor could they be said to be otherwise identifiably New Orleans in sound. But, since Booker was a product of that city (as well as his own peculiar inspirations and delusions), and because Lloyd Price, himself a New Orleans native, retained other home town talent in this band (though it was located in Los Angeles at the time), I think, we can safely say today's two selections reside in the Home of the Groove. I first heard this LP in the late 1980's when Emerson Able, a Memphis musician and educator, called me on my show and asked if I had heard it. When I told him I hadn't, he loaned me his well-worn copy. After that, I searched for years for that record, finally finding one in a little neighborhood record store in Seattle, when I was visiting. It was worth the search for those Booker tracks. The rest of the album cuts, while fine performances, aren't particularly of interest to me. You may feel differently, should you choose to seek it out. I'll give up a little background; but not enough to gag you, I hope. I've never lived in New Orleans; but I have spent a lot of time there since childhood, really, hanging out, and continue to do so. I started seriously collecting New Orleans music about 25 years ago and have amassed quite a bit of old and new stuff, vinyl and CD. I collect other music, too; but my main focus is NOLA. Starting in 1988, I did a weekly two hour radio show in Memphis on WEVL called "New Orleans: Under the Influence". Earlier this year, I gave up hosting NOUTI due to my relocation to Lafayette, LA. But, my friend and fellow music geek (and I mean that in the best possible way), Tom Claypool, has taken over the show and is doing a great job, I hear. Anyway, I loved doing the show, sharing my collection with listeners in Memphis, and exposing them to the funky side of New Orleans music that I go for. Through the show, I got to interview greats like Earl King, Gatemouth Brown, Marcia Ball, Carol Fran, and John Mooney, and meet people like Allen Toussaint, 3/4 of the Neville Brothers, George Porter, Jr., and the like. I may do radio again sometime; until then, this blog will be like a little slow motion broadcast. This blog is just getting underway. I want to attempt to make this place as user-friendly as possible; but please understand that I am assuming that you either know something about New Orleans music and culture or are willing to research these subjects on your own to find out more. This is such rich, deep, multi-faceted subject matter. I do not have world enough nor time to provide you with the complete content, context and background to explain why I believe that New Orleans is truly the home of the groove...well, as I say elsewhere, at least on this continent (North America, last time I checked). So, if you're not nodding agreement already, you're either going to have to take my word for it, find out for yourself, or prove me wrong. What I am going to do is take some rare, undeservedly obscure gems out of my collection and give you a chance to hear them. I'll throw in some commentary and other tidbits along the way. But, hey, you don't need to be an expert about this music or even read anything about it to enjoy it. It's worth is self-evident. I will try to provide links when I can that will lead you toward more light on the subjects at hand (at ear?) and maybe even help you to track down a hard copy now and then for your own collection. So, listen, enjoy, and do what moves you and feels good. I just want this music to be heard, whether or not you fully appreciate the rich heritage and multi-cultural underpinnings from which it springs. Give it a listen. That's all, y'all. Your comments are welcome, too. I will respond when and if I can. I'd like to have feedback on the blog itself and the music offered. I'll have some music posts up in a few days, so come back by. I'll be starting off with some rare James Booker organ tracks with the Lloyd Price Band that aren't available on any re-issue compilations that I'm aware of. Interested? By the way, the music links won't stay active forever. The first audio posts will be linked until the blog gets some traffic. Then, the general length of time for you to access the audio on a post will be 7 - 10 days. 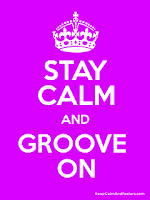 Of course, new grooves will be added; so, keep checking back. . . .